Subtraction can always be a little tricky for young learners. I think the concept of taking things away is hard, because what young child wants things taken away! I have seen different teachers share about using Play-Doh to roll out balls and smash the ones that are being taken away - GENIUS! Play-Doh is pretty much always a good idea with young kids! 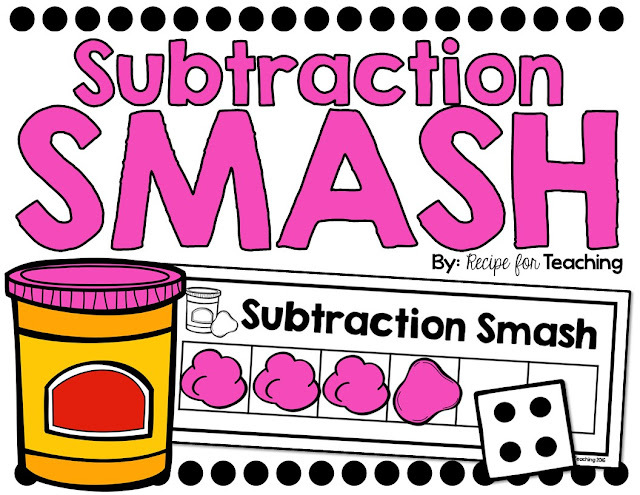 I took the Play-doh smashing idea and created a "Subtraction Smash" mat with six boxes. 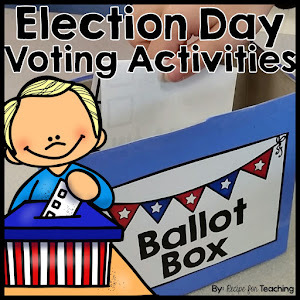 For this activity I had my students roll a dot cube. This told them how many Play-Doh balls to roll out on the mat. 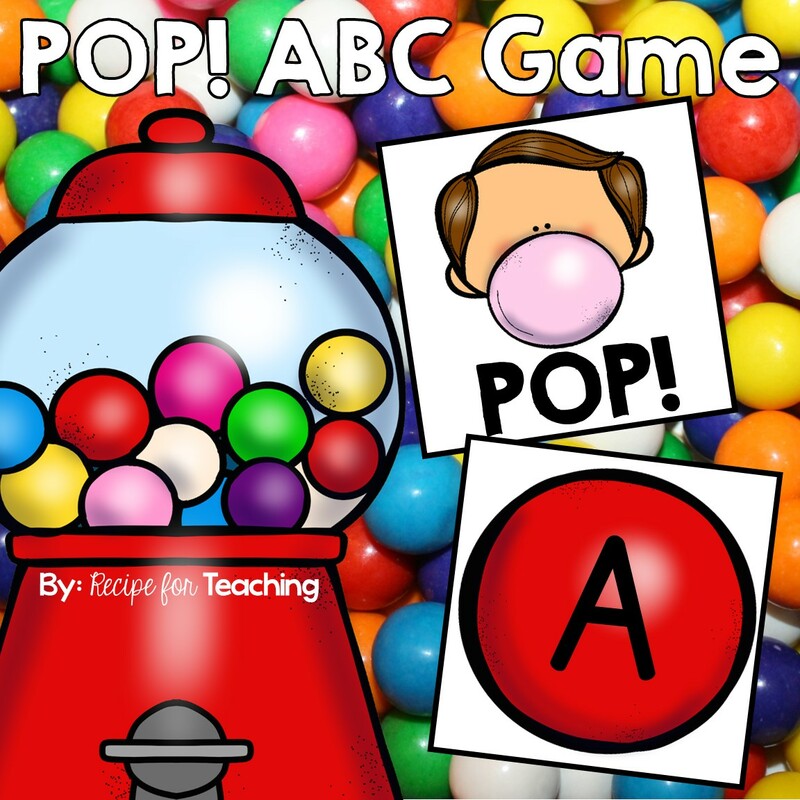 I had my students smash one each time. They had to tell their partner how many Play-Doh balls they had left after smashing one. 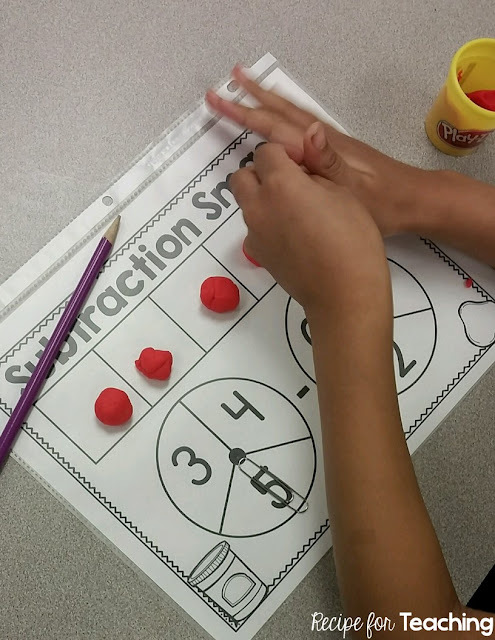 This was just our introduction to subtraction so I wanted to start with taking away one. This was a HIT (or should I say SMASH!) with my students! My kids love working around the room in their scoop rocker chairs to do math activities! Smashing Play-Doh balls in action! 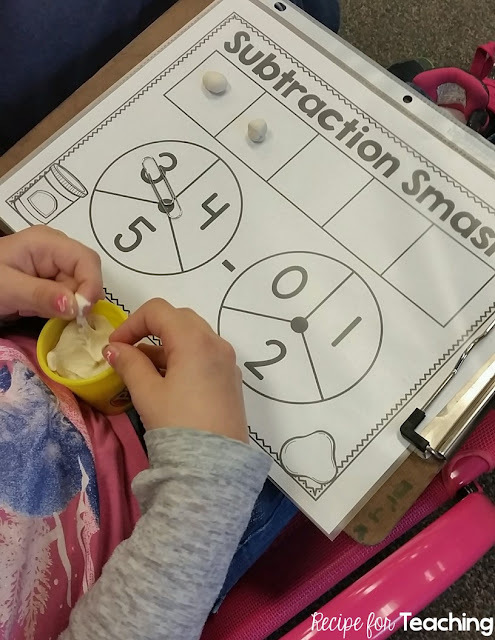 I also had my students do another version of Subtraction Smash. For this version they spun the first spinner (3,4,5 spinner) and rolled out that many Play-Doh balls. Then they spun the second spinner (0,1,2 spinner) and smashed that many Play-Doh balls. They counted how many Play-Doh balls were left. 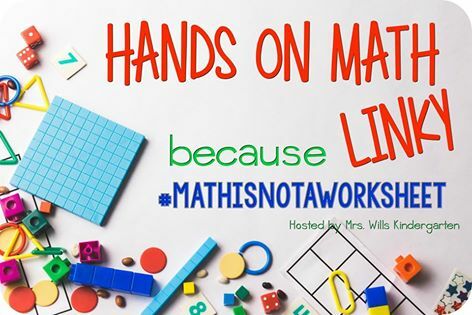 I had my students say the math talk, "___ minus ___ equals ___." I had my students use a pencil and a paper clip to spin the spinners. 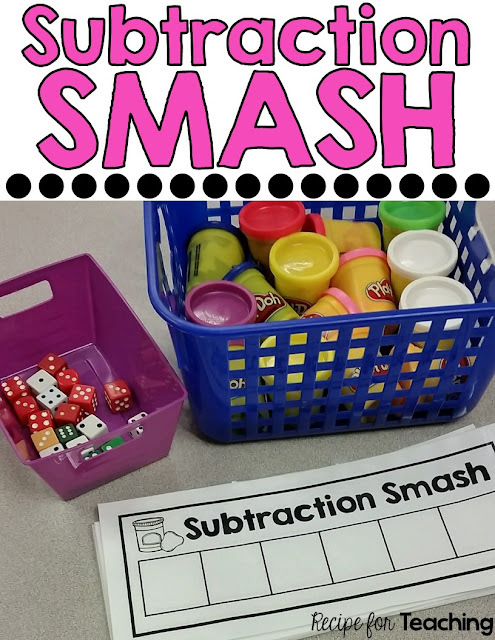 If you want to try this with your students, grab your FREE "Subtraction Smash" mats by clicking the image below! Also included in the download is a "Subtraction Smash" mat where students can record the equation. Directions for using the mats are included as well. You could easily differentiate for your students by having them use different mats that best meet their needs. 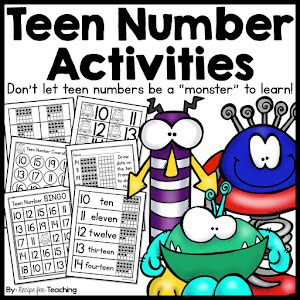 Enjoy and have FUN with math! ***UPDATE - Included in the download are also mats with spinners that go up to 10!! Great option for differentiation!! 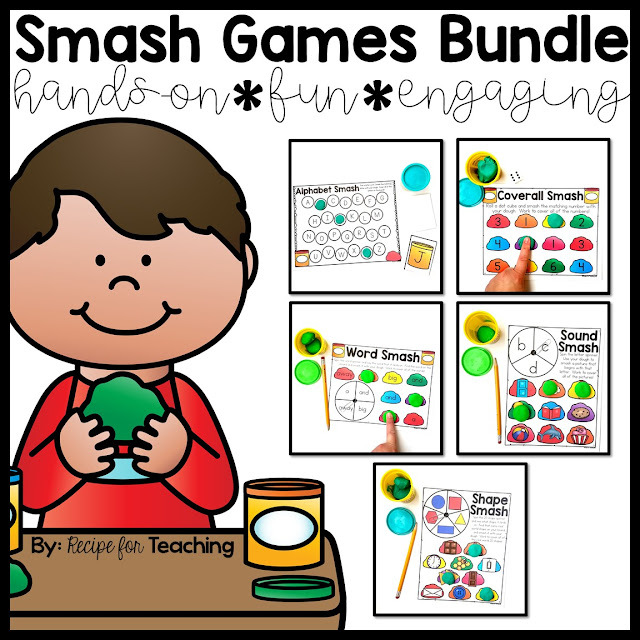 Be sure to check out this Smash Games Bundle in my Teachers Pay Teachers Store! Be sure to stop by Mrs. Wills' Kindergarten to check out more FUN math ideas!